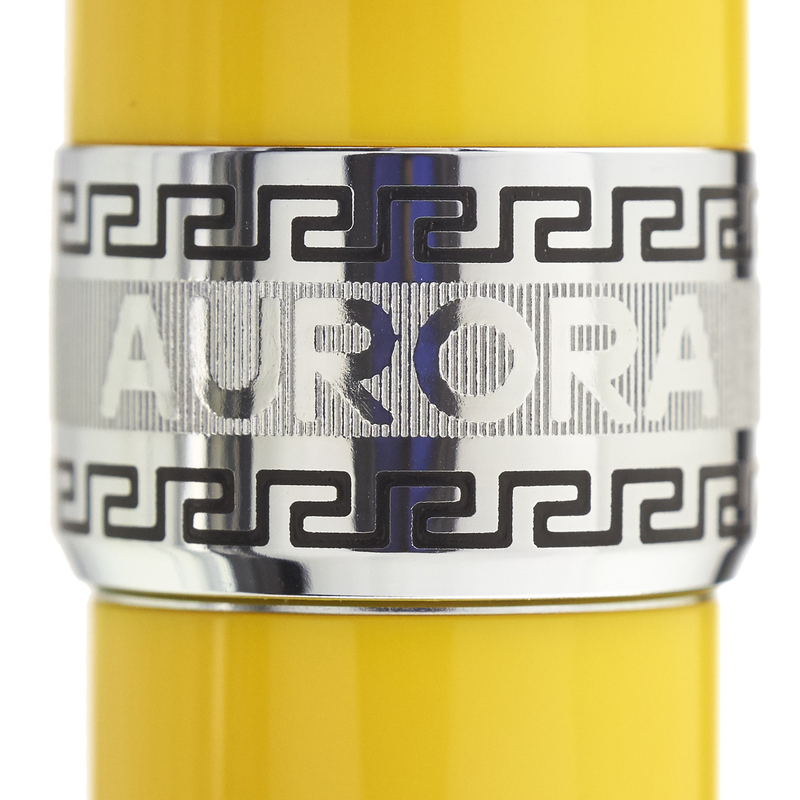 The latest in a series of limited edition releases from Aurora, the Optima Fine Flex Yellow Resin showcases this company's new 14k rhodium-plated flex nib. For those preferring a different tipping size, we can offer your choice from among the full range of Aurora 14k solid gold rhodium-plated nibs. 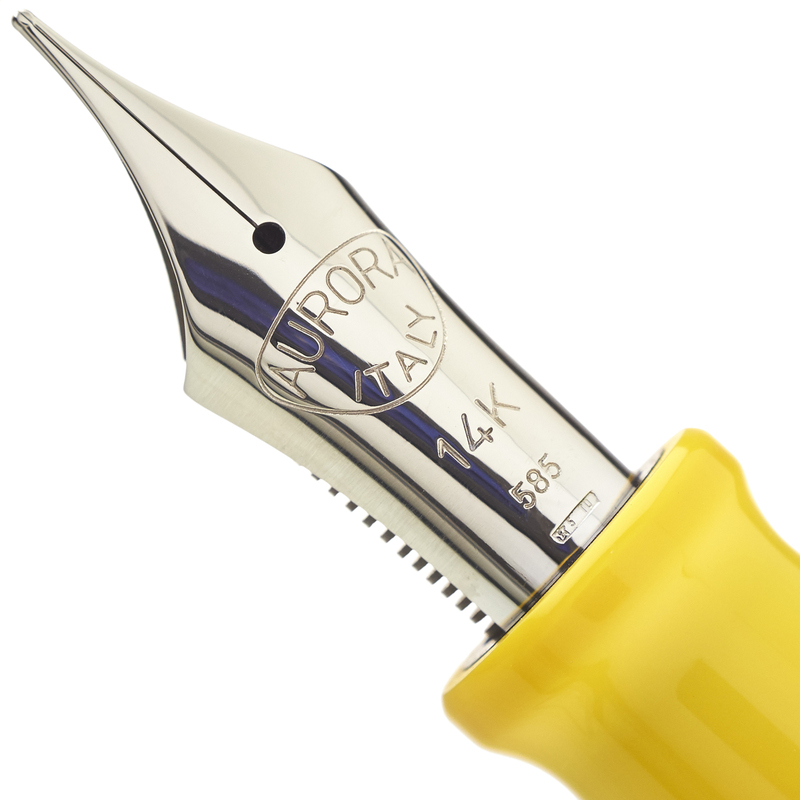 Our complimentary nib tuning ensures that your Aurora pen will have writing qualities equal to its appearance. Aurora 14k nibs also serve as excellent starting points for our exclusive nib customizations, including, when choosing the Fine Flex nib, our well-known Mottishaw Spencerian modification. We are an authorized Aurora dealer. 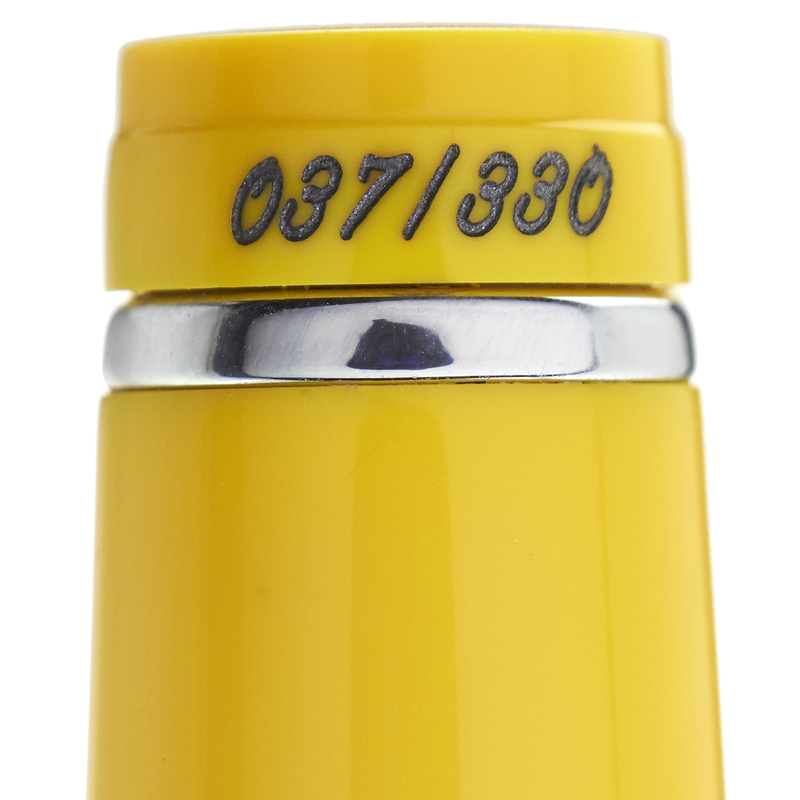 The Aurora Fine Flex Yellow Resin Limited Edition is being produced in just 330 numbered pieces worldwide. 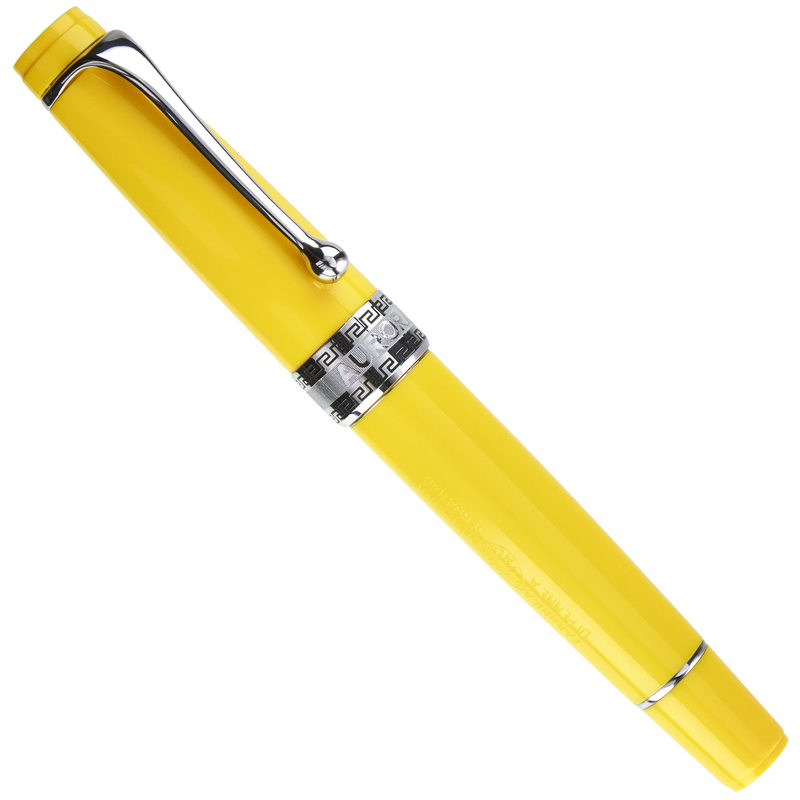 The Optima is a classic Aurora model, and the addition of the Fine Flex to its nib array adds to the versatility of this stylish writing instrument, hand assembled at the Aurora factory in Turin. 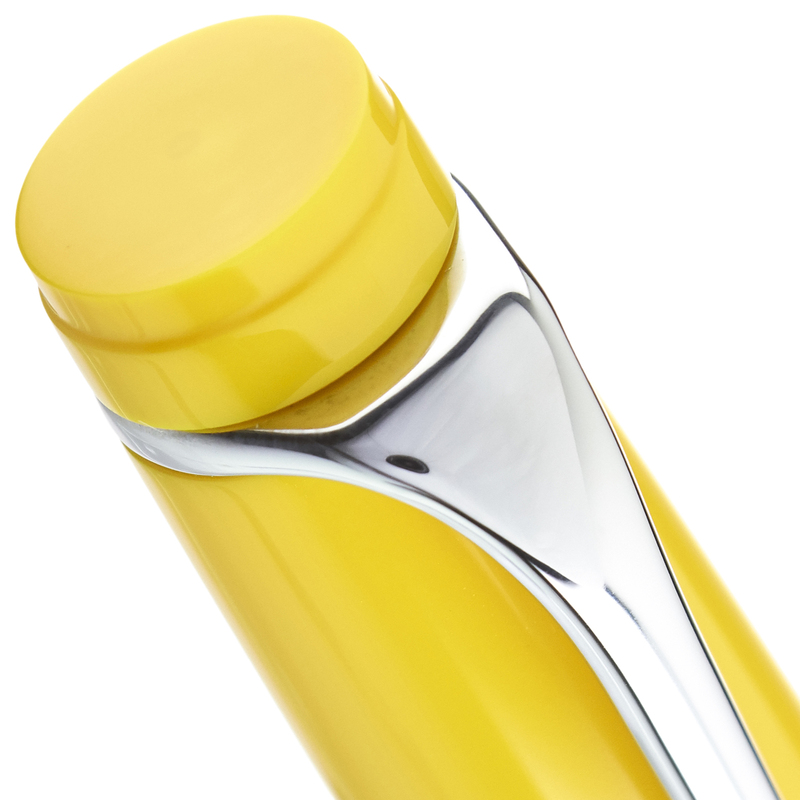 Aurora's reliable, high capacity piston-fill system allows this pen to use any bottled fountain pen ink. 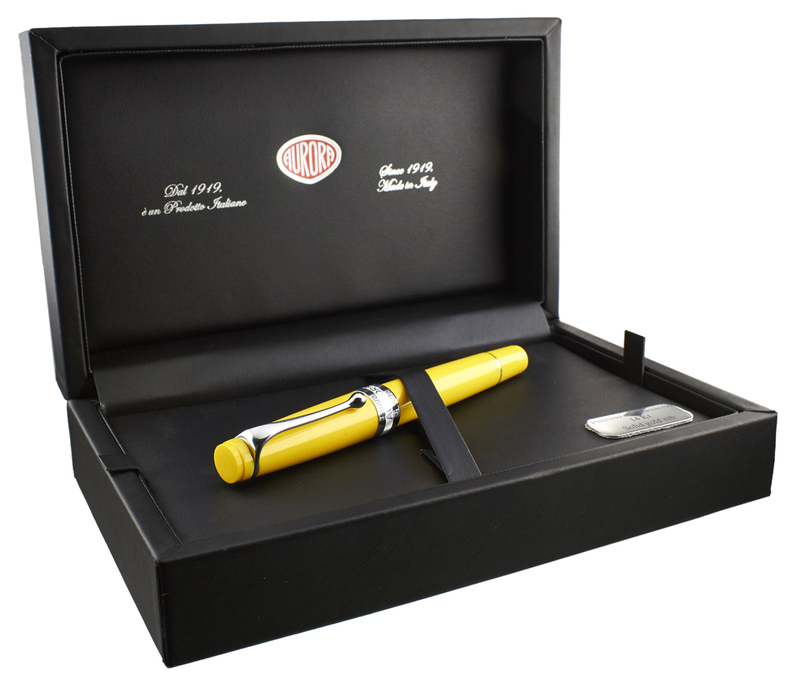 The pen ships in an attractive presentation box which adds to its value and collectibility and also makes this a highly appropriate choice for a special gift item.